For a great nights sleep, the rear seat quickly and easily converts into a surprisingly large double bed 1205mm x 2000mm for 2 adults. 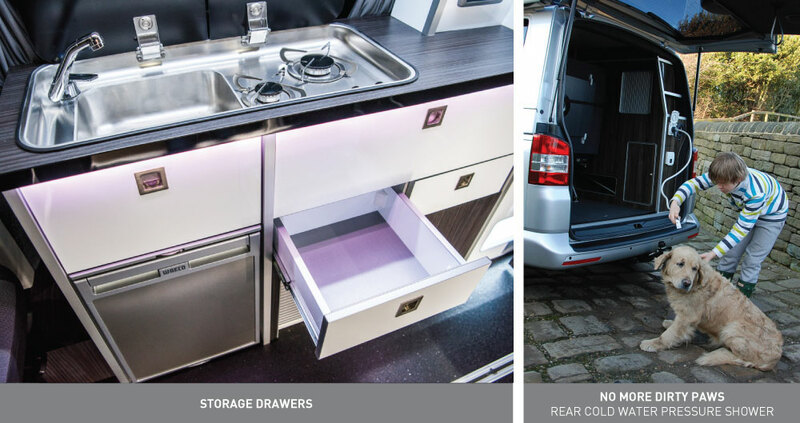 An optional roof bed gives an additional sleeping space, designed to give ample room for a further 2 adults or perfect for the children which means when they go to bed, you don’t have to. Whether you decide on a wind out or driveaway awning, both offer that extra space or shelter to enjoy the great outdoors even more.